Dhaka, Bangladesh -- THE Buddha's teachings have a basis issued from simple observation of the facts of daily life. The words of the Blessed One still remain in the modern world. They are modern because they are simple in expression and concern the human nature and no particular societal system. The simplicity of these words is the source of power of this teaching and allows Buddhism to become universal by adjusting to civilisations. 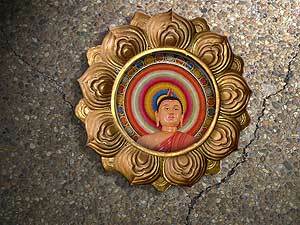 The basis of Lord Buddha's teachings is derived from the experience of his life. To render the world better and humanity better, it is necessary that the example of the Buddha and his words as the education of life is followed and acquired by all above all differences. To some, the teaching of the Buddha is a religion while to others it is a philosophy. As a whole, it really asserts a way of life. It is a way of moral, spiritual and intellectual training leading to complete freedom of mind. The Buddha himself called his teachings Dhamma-Vinaya, meaning "the doctrine and the discipline". Buddhism, in the strictest sense of the word, cannot be called just a religion. For, if by religion it is meant "action or conduct indicating belief in, reverence for and desire to please a divine ruling power, the exercise or practice of rites or observances implying this, recongition on the part of man of some higher unseen power as having control of his destiny, and as being entitled to obedience, reverence, and worship," then Buddhism does not possess such characteristics of a religion. A Buddhist takes refuge in the Buddha (Buddham Saranam Gacchami) but not in the hope that he will be saved by the Master. The Buddha is only a teacher who points out the way and guides the followers to their individual deliverance. To a Buddhist, the men who saw 'Truth' are true helpers; he never prays to them, he only pays reverence to the revealers of truth for having pointed out the path to true happiness and deliverance. Happiness is what one must achieve of oneself. Purity and impurity also depend on oneself. 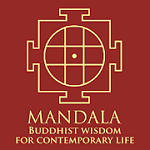 The Buddha encourages his followers to live according to the Dhamma, which shows clearly that it is the highest importance to train oneself mentally, verbally and bodily to step along the way to seek happiness and a right life. In Buddhism, wisdom is of the highest importance. Purification comes through wisdom and understanding. But the Buddha never praised mere intellect. According to him, knowledge should go hand in hand with purity of heart, with moral excellence (vijjacaranasampanna). Wisdom gained by understanding and development of the qualities of mind and heart is wisdom par excellence (Bhavanamaya Panna). Thus it is clear that Buddhaism is an encouragement of a practical application of the teaching that leads the follower to dispassion, enlightenment and final deliverance, where one gets eternal peace and happiness. Buddhism holds its keen appeal in contemporary times when traditional religious values are being questioned in the intellectual skepticism of the time. A modern man may be dissillusionsd with conventional ideas, blind faith, cults and dogmas as much as he is immersed into scientific thoughts that have shattered many old myths and unveiled mysteries of human existence. Progress of science and technology during the last two hundred years has opened new frontiers of thoughts. Buddha was a friend, because he had profound love for his disciples. He was a philosopher, because the thought for their welfare and indicated the path leading to happiness. He was also a guide, because he gave them guidance in order to enable them to achieve cherished goals through action. 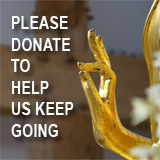 Buddhism has a human approach. It aims at individual perfection leading to spiritual attainment and collective good for the society. The history of mankind is littered with violence. But, history has proved that violence cannot destroy violence. On the other hand, violence invites greater violence. In the whole process of human advancement, the conqueror and the vanquished have fought violently. But ideological conquest is much greater than physical conquest. Ideological conquest is a matter of giving and taking through peaceful means. This is non-violence, the Buddhist way. Today we are living in a scientific age in which every aspect of life is influenced by modern science. Nevertheless, from its very beginning, the teachings of the Buddha are always open to scientfic thinking. Buddha never encouraged rigid, dogmatic belief. He allowed great flexibility and freedom of thought. Sabbe Satta Sukhita Hontu -- may all beings be happy. Sukomal Barua is Chairman, Department of Pali and Buddhist Studies, University of Dhaka.